Stephen Jackson recently obtained his Ph.D. in Sociology at Lancaster University. 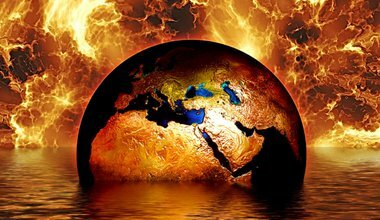 His thesis, Climate Change, Rhetoric and Catastrophe, analyses the different ends to which activists and institutions use catastrophic forewarnings about climate change. Follow him on Twitter @ssjackson77. Is our confidence in the unifying power of fear obstructing action to combat global warming?